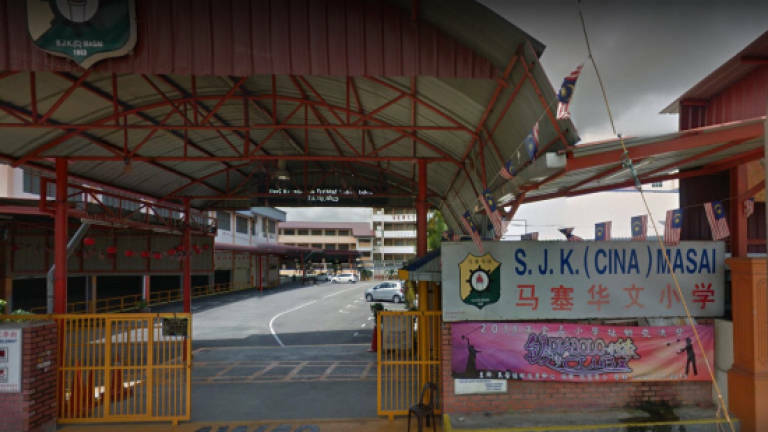 02 Jan 2018 / 18:39 H.
PETALING JAYA: Non-Chinese make up more than 50% of the new intake of SJK© Masai, Johor Baru, this year, making it probably the Chinese school with the highest ratio of non-Chinese pupils down south. According to a report in Sin Chew Daily today, the school received 233 new pupils out of which 130 are non-Chinese. The school has a total of 1,559 pupils at the last count, and 667 of them or 43% are non-Chinese. SJK(C) Masai parent-teacher association president Zhang Fu Kai told the daily that this year, for the first time ever, the school saw Chinese pupils out-numbered in its new intake. He said Malays accounted for the bulk of the 130 new pupils with 77, followed by Indians with 14, and 39 from various ethnic groups from Sabah and Sarawak. He attributed the climb in the ratio of non-Chinese pupils in the school to a drop in the Chinese population in relation to other races and the fact that the school is located in an area populated by non-Chinese. Zhang said the high percentage of non-Chinese pupils presented a big challenge to teachers in the school as most of these pupils do not have any foundation in Mandarin. "And because many of them are unable to adapt to the (relatively heavy) workload, a good percentage of them seek transfer to national schools by the time they are Year Three or Year Four," he disclosed. To enhance their adaptability to the Chinese-medium education, the school had, beginning last year, suggested that non-Chinese parents send their children to learn Mandarin in kindergarten prior to enrolling them with the school. The school is also conducting Mandarin tuition classes for non-Chinese pupils apart from reducing the number pupils to a class to lessen the pressure on teachers.